The first time I noticed translation was probably while singing Christmas carols. 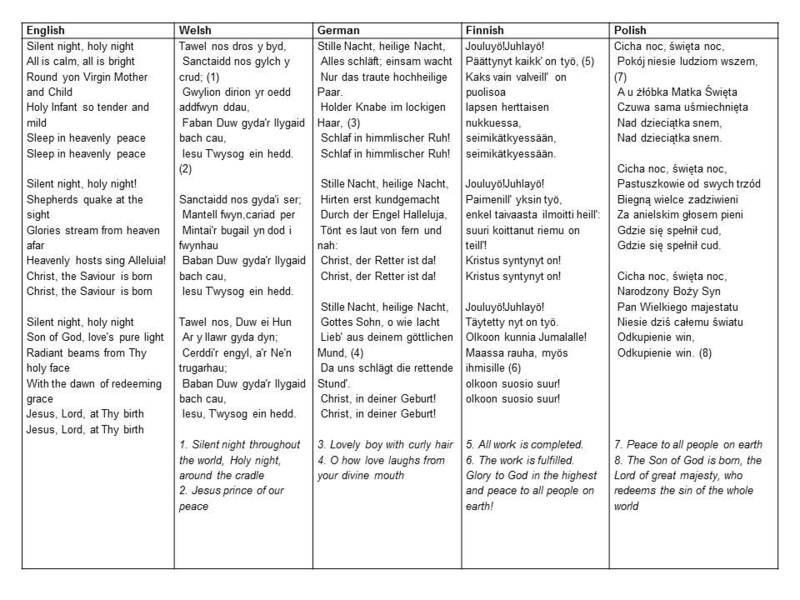 We learnt to sing Silent Night in something resembling German and Welsh at primary school, and in learning Polish I realised that the fuzzy warm sound of carols I’d heard before I could speak actually meant something: the shepherds, the kings, the manger. 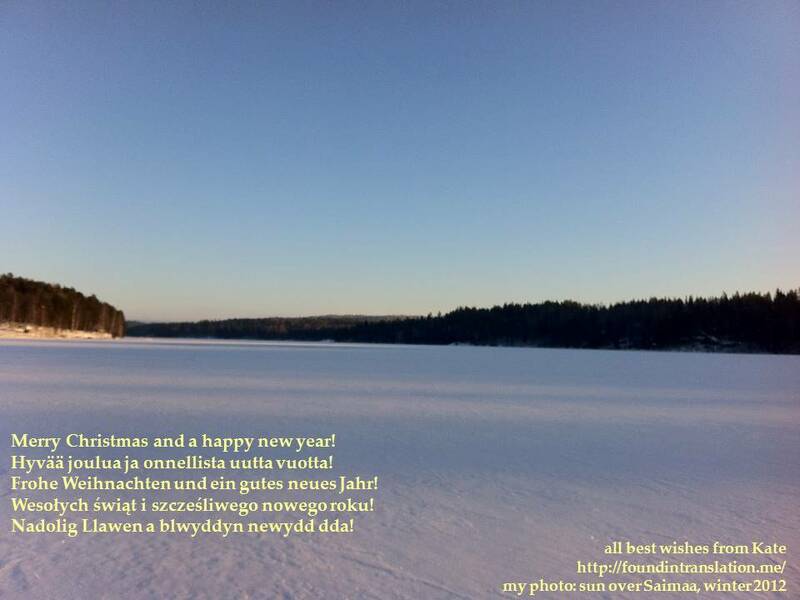 Suddenly last Christmas, singing Silent Night in Finnish for the first time, I realised I was singing about work. Work? It rhymes with night in Finnish (yö, työ). If you want it to rhyme, scan, and fit to a melody, you have to change your translation a bit. Or a lot. I hope you enjoy singing it in whatever language you choose. And if you’re stuck for saying Merry Christmas to someone, somewhere, here’s a handy collection of global Christmas greetings. Have a peaceful, joyful Christmas! Your Dziadunio sang it beautifully in Polish, German and English!